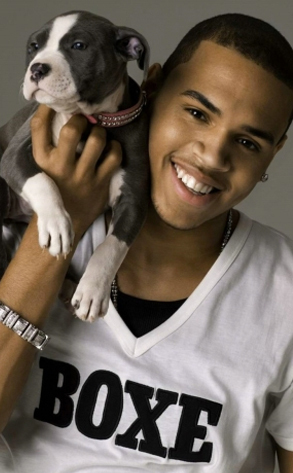 I never thought of Chris Brown as a dog guy, unless you count someone like Mike Vick…then maybe something like that. Anyways he started to breed pit bulls and made a website, CB Breeds, to sell them. Of course PETA has something to say about this and got pissed at him because he is not promoting saving dogs from animal shelters, where dogs get euthanized all the time. Clearly I am not an expert on this subject and have never once in my life looked into buying an animal of any kind from a breeder, shelter or pet store…but do people not breed dogs anymore? Is this a dead industry now? I am kind of confused why they are annoyed with his breeding. If anyone cares to explain this to me feel free…I may get bored and stop listening to you, but you can try. Also, I think we all should just be relieved that Brown isn't punting puppies off a bridge or throwing cats into fans. That seems more his speed. I think PETA wold be in the clear if they were to protest an activity like that.